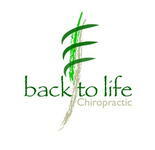 I am new to chiropractic care and Dr. Khoshbin took the time to explain the benefits I could receive from adjustments, which I appreciated. Being a physically active person I have a pre-existing back injury and other persisting injuries of which Dr. Khoshbin took the time to assess and created a treatment plan that suited my individual needs. He also evaluated my posture, of which is not perfect, and made helpful suggestions of how I can improve upon it. Overall, Dr. Khoshbin was very personable, patient with answering my questions and concerns, and is knowledgable about the human anatomy and physiology. The on-site massage therapist was helpful and knowledgable as well.